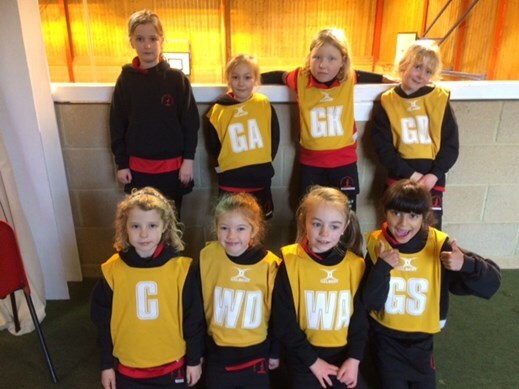 The U8B Netball team travelled to Great Walstead for a tournament today to compete against local Prep Schools. The team comprising of Sophie, Eloise, Jemima, Jennifer, Samantha, Pippa, Emily and Paige played well and tried their hardest in each of the 7 minute games. They played several B teams as well as an A team. Their first match was against Brambletye and although the opposition had over 75% of the play Copthorne managed to restrict them to a one goal win (1-0). Their second match was against Hurst B and after a very competitive match the score was a 0-0 draw. Then the girls had to wait 45 minutes before their next game which was against Handcross when they were beaten 2-0. Their final game in their side of the draw was against Great Walstead A and although they put up a spirited defence the A team beat them 6-0. Copthorne B then played Great Walstead B in the play offs and it concluded in another 0-0 draw. The U8 B’s enjoyed the afternoon and were awarded a certificate for participating in the tournament. Well done everyone for playing in a very sporting manner and with a little more thought about finding better positions on court I am sure the team will improve in the future.